Hope's Cafe: GlassesUSA.com-THE Place To Buy Glasses Online! Does anyone in your family wear eyeglasses? While I don't personally, my youngest sister does. I was the first one in our family to notice that her eyesight seemed a little off, and so we took her to a local place for an eye exam, and, ultimately, to purchase some glasses for her. I was amazed at the prices for little girls glasses! She'll outgrow them very soon, yet they are somewhat pricey. And adults eyeglasses are even more expensive! But, I recently found a place where you can purchase eyeglasses online...at a cheaper price! I have to admit, I was somewhat surprised to learn you can purchase discount eyeglasses online. Not having ever had to shop for glasses (except for taking my little sister once, some time ago), I had never realized that you can shop for glasses online. GlassesUSA.com is a wonderful eyeglasses store where you can shop in the convenience of your own home. They even offer a feature so you can "try them on" and see how they will look. Whether you're looking to find designer eyeglasses online or retro glasses online, you can find it all at GlassesUSA. If you want quality glasses at a cheaper price, then this is a website you need to check out. Like I said, I don't wear glasses, but I love this pair of rimless eyeglasses...they're so stylish! So, are you interested in shopping for eyeglass frames online yet? GlassesUSA is offering these specials for the rest of March! Take 30% off any pair of discount eyeglasses!! Use the code WINTERSALE at checkout. Or, take 25% off any order of 3 or more pairs of glasses! Use the code 25FS at checkout. And, for any of my readers, you can receive 10% off your next order of eyeglasses at GlassesUSA just by using the code Mommy10! 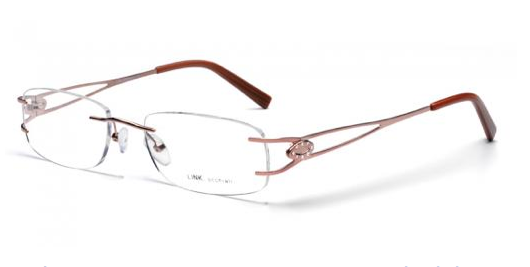 If you're unsure, make sure to check out some eyeglasses online reviews before purchasing! Sometimes I feel rushed when I'm at the eye doctors and trying to choose lenses, so maybe next time I will try buying online!